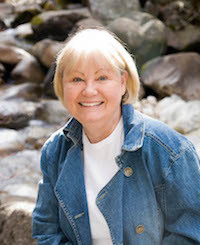 Gale Sears is the author of numerous novels, including Belonging to Heaven, Letters in the Jade Dragon Box, The Silence of God, Christmas for a Dollar, The Route, and the Autumn Sky series (Autumn Sky, Until the Dawn, and Upon the Mountains). Letters in the Jade Dragon Box won a 2011 Whitney Award in Historical Fiction; Upon the Mountains was a finalist for a Whitney Award in Best Novel of the Year and Best Historical Fiction. The Silence of God and Belonging to Heaven were finalists for a Whitney Award, and The Route was nominated for the award. She grew up in Lake Tahoe, California, and attended high school in Honolulu, Hawaii. She earned her bachelor’s degree in playwriting from Brigham Young University and her master’s degree in theater arts from the University of Minnesota. She and her husband, George, are the parents of two children and live in Sandy, Utah. She is a member of The Church of Jesus Christ of Latter-day Saints. This page was last edited on 18 March 2018, at 21:47.